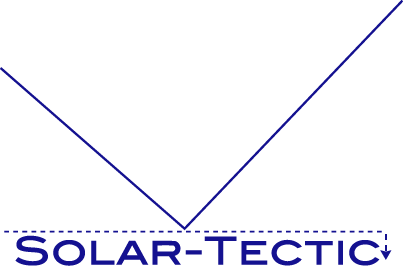 Solar-Tectic presents a method for enhancing superconducting tapes (or wires or cables) for use with solar modules in transferring energy from modules to public utility electrical power grids and computer-based, automated electrical power grids or “smart grids”. Specifically, our method improves the critical current density of cuprate superconductors. A patent has been issued for this technology. If single crystal HTc tapes can be developed it would help not only in the field of high temperature superconductivity but, with different buffer layers, provide for inexpensive high efficiency silicon solar cells. A New Look at High Temperature Superconducters. Method allows direct detection of rapid fluctuations that may help to explain how high-temperature superconducting materials work. David L. Chandler, MIT News Office February 24, 2013.